If you’re in search of a company that offers shower replacement services in Indianapolis, Muncie, Kokomo, IN, or another nearby area, you’d be remiss not to contact L.J. 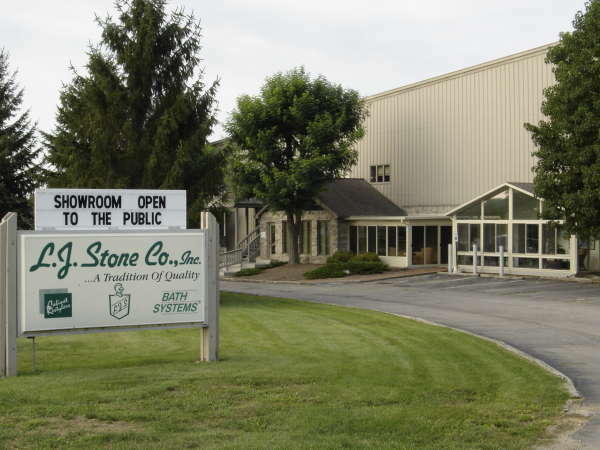 Stone Company, Inc., the company who has demonstrated their commitment to customer satisfaction since 1967. Is your shower an eyesore? Is the tub in poor condition? Does the tiling and grout need to be re-done and do the fixtures seem beyond repair? If so, L.J. Stone can install a custom shower liner or tub liner that fits snugly over your old shower or tub, drastically improving its appearance. Most shower replacement jobs are completed within a few hours, offering a fast and affordable update to your bathroom without the hassle and cost of a full-scale remodel. A threshold lower than those found on traditional tubs, which makes these showers look stylish but also spares you from having to step over a high tub wall. We also offer a number of walk in shower models. Few home improvements seem as worthwhile as a shower replacement, when you consider how essential your shower is to your day. Whether you’re in the shower in the morning gearing up for your busy day, or you’re there winding down at the end of a long one, the shower should be your refuge, a place where you can regroup before stepping back into the fray of life. If you’re ready to create the bathing oasis you’ve dreamed of with an expert shower replacement, contact L.J. Stone today. We’re proud to be the most trusted home improvement company offering shower replacement services in Indianapolis, Muncie, Kokomo, Indiana, and all other nearby areas.